British icon Tesco rebounds but can it attain its past glory? 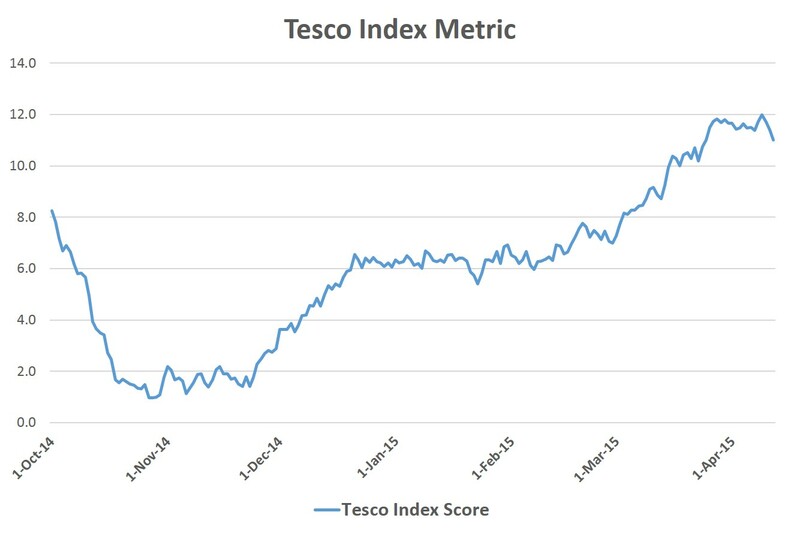 Are there now real signs of recovery for Tesco? Its battle not just against its traditional ‘big four’ rivals but the German discounters too has a long way to run, but YouGov BrandIndex points towards areas in which it is succeeding. Tesco’s nadir was reached prior to Christmas, its brand image damaged by an accounting scandal which involved an overstating of profits to the tune of £263million. Sales were down and shares plummeted as British consumers began to lose trust in the previously untouchable retailer. However, under the steer of its new Chief Executive Dave Lewis, Tesco has seen its sales increase by 1.1%, its strongest performance for 18 months. This followed the news that 43 unprofitable stores were to close, 30% of product listings were to be discontinued and Tesco’s staff pension scheme would end. One of Tesco’s main areas of concentration is its brand image. YouGov BrandIndex Buzz Score measures whether a respondent has heard something negative or positive about a brand in the previous two weeks. 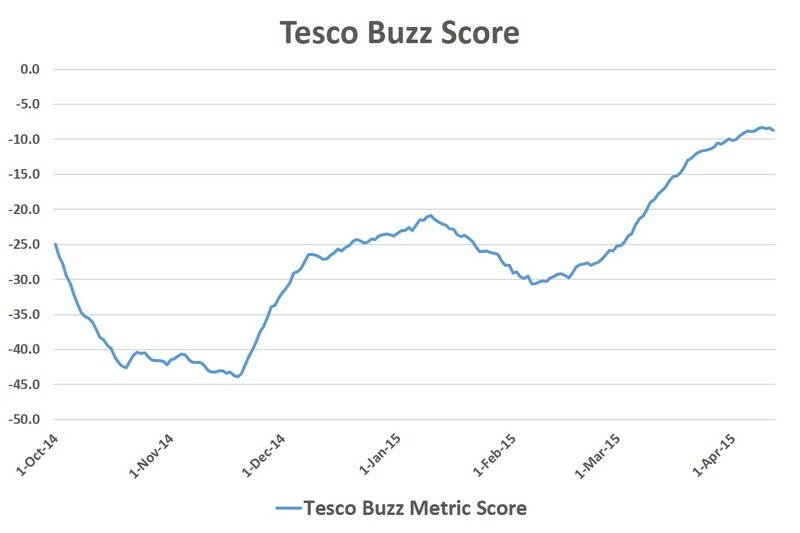 In the middle of November last year, Tesco’s buzz score was a very low -43. Since then, there has been a clear recovery with regards to this metric. Their score currently stands at a still not ideal, but greatly improved -8.5. YouGov’s Index score is made up of a variety of metrics including Impression, Value, Satisfaction and Reputation. It is crucial to Tesco’s future success and profitability that they improve on all of these aspects. The sign is that they are making good progress in this area. Changes such as cleaner stores, better check-out experiences and effective price reductions will have helped. Once more, we see the score deteriorate rapidly during October and into November, reaching a low of +1. The improvement in score and overall fortunes is underlined by a rise to +11.8 at the start of April. So while this is positive news, plenty remains to be done in a hugely competitive sector which continues to evolve. Tesco is still losing overall market share whilst Aldi and Lidl continue to gain. Tesco has recently hired BBH to lead its advertising efforts. The discounters have launched aggressive campaigns to win the hearts and minds of consumers. Tesco should remind the public what made them so unique and popular in the first place. Moreover, it should help to rebuild an image of a trusted company. Whether this can be achieved remains to be seen.